Local manufacturers are challenged to find skilled workers. Youth unemployment in the region is among the highest in the nation. Impact NW’s response? A new website that links youth in East Multnomah County to careers in manufacturing. 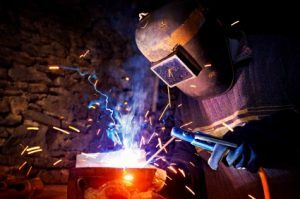 Jobs101NW.com is a new online job board that connect youth (and adults) to a comprehensive list of skilled trade resources. It contains information on community colleges, apprenticeship training, and links to jobs for machinists, millwrights and welders, among others. “This site is a great way for us to continue to help youth find great jobs in the trades,” says Jeff Cogen, Executive Director of Impact NW. Impact NW, one of the region’s largest social and education nonprofit service providers, operates the website as part of its Pathways to Manufacturing program. The program links high school students from East County high schools to employers, such as Daimler and Vigor Industries. Although most are still in school, twenty youth who have completed the program have already gone on to jobs in the trades in the past two years. Jobs101NW.com officially launched on October 6, 2016, to coincide with National Manufacturing Day and the Makers Gone Pro manufacturing engagement event, hosted at the Center for Advanced Learning in Gresham. In attendance was U.S. Secretary of Commerce Penny Pritzker, who noted the importance of supporting youth in filling the 300,000 well-paying manufacturing jobs that are open today. The jobs website was made possible by a $60,000 grant from the Walmart Foundation. This grant is in alignment with Walmart and the Walmart Foundation’s commitment to supporting U.S. manufacturing. In 2013, Walmart announced its U.S. Manufacturing Initiative which set a goal of purchasing an additional $250 billion in products over 10 years that support American jobs, as well as created a $10 million Innovation Fund to support research to addresses key industry challenges. To date, over $1.3 million in these research funds has been invested in Oregon. Impact NW’s program responds to recent growth in the region’s manufacturing sector, where skilled workers are needed by the thousands. Meanwhile, as industry leaders and public school system have long been aware, young people are not getting the information and skills they need for a career in this field. A 2012 study completed by the Columbia-Willamette Workforce Collaborative found that a staggering 47% of manufacturing companies identified the lack of new workers entering the industry as a top concern, with 68% stating that they anticipated having the most difficulty filling highly-paid skilled production positions over the next three years.